Add, subtract, multiply, and divide in a very fun way in this exciting Number Facts Math Racing Game. 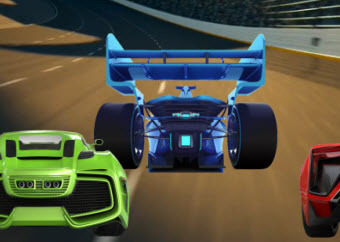 The cars are fast and the game moves quickly so you must work quickly and correctly or the car might "crash." Return from this Number Facts Math Racing Game to the Elementary Math Games, 3rd Grade Math Games webpage, or to Math Play.